Steel Fiber Reinforced Concrete (SFRC) is a composite material that the steel fiber is evenly mixed with ordinary concrete. The steel fiber reinforced concrete is regarded as a kind of fiber strengthening system. The stress, elastic modulus and strength of steel fiber reinforced concrete are deduced by the rule of mixture. Except the compressive strength and the elastic modulus, the physical and mechanical characteristics, and the durability significantly improve compared with the ordinary concrete. Defects of ordinary concrete pavement include high thickness, various materials, low crack resistance, low anti-shrinkage, low anti-peeling and wear resistance. The steel fiber reinforced concrete pavement can overcome certain shortcomings. SFRC is mainly used in the restricted road of elevation, toll stations, the concrete overlay and deck pavement, expansion joints or bridge telescopic devices on both sides. 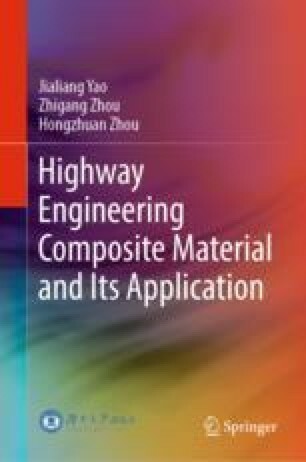 Components and process characteristics, the reinforcing mechanism and interface performance, the performance, the mix proportion design, the construction technology and the application of steel fiber reinforced concrete in the engineering are mainly introduced in this chapter.